The 1903 Papal Conclave which elected Saint Pope Pius X as Pontiff was an interesting event for a number of reasons. Amongst its participants were a number of saints to be. Pius X was of course, one. 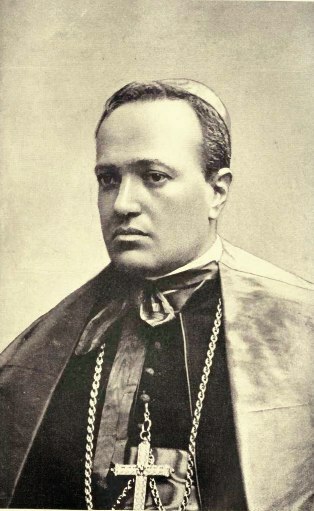 Another was the Cardinal Archbishop of Milan, Cardinal Andrea Carlo Ferrari (1850-1921). He was beatified by Pope John Paul II on 10th May 1987. The homily by Pope John Paul II on the cardinal is here (but in Italian only). Pope John Paul II described him as having a strong faith and a man of enlightened zeal, inspired by the ideal of Christ as the Good Shepherd. He went on to say that the basis of his sanctity rested on his interior life, founded on deep theological conviction, filled with a devout and filial devotion to the Virgin Mary, and concentrated on the image of Christ in the Eucharist and on the Cross. He was filled with a constant goodwill towards all men, a profound concern for the welfare of the poor and a heroic patience while suffering great pain. “Sia fatta la volontà di Dio sempre e in tutto!”. (Let God`s will always be done in everything) "
Before the 1903 Conclave, his name had been spoken of seriously as possible successor to Pope Leo XIII. He was born in Lalatta, a hamlet of Pratopiano which can be found in the area of Palanzano (near Parma), belonging to a humble family of farmers. During his episcopate of Milan (1894-1921) he carried out four visitations of the whole of the vast diocese in the manner of St Charles Borromeo. He caused 102 churches to be built and initiated the work of embellishment and enrichment of the cathedral. He founded the “Associazione femminile di azione cattolica” and together with Giuseppe Toniolo he started up the “Università Cattolica del Sacro Cuore”. His influence on the Church was profound. But he was a controversial figure in certain circles in his time. During the anti-modernist time of Pope Pius X, he was unjustly and unfairly accused of Modernism by certain quarters and in particular by "La Riscossa" of Vicenza and "La Liguria" of Genova. He was no Modernist. 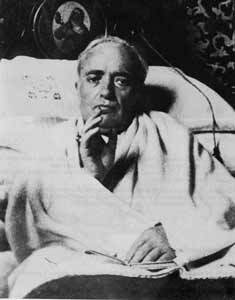 But the feeling that he was "soft" on Modernism led to a period of bad relations with Pope Pius X. In a pastoral letter in 1908 Cardinal Ferrari denounced certain "Anti-Modernists" who he said were just as bad as the "Modernists". "These anti-Modernist zealots discover Modernism all over the place, and even manage to throw suspicion on those who are very far removed from it." This of course did not exactly further endear him with the Pope and thereafter until the end of the reign of Pope Pius X, he kept silent. "Tra lui e il papa san Pio X era venuta a formarsi una cortina fumogena di malintesi, di dubbi, di sospetti, che altri, all'insaputa dei due santi, in nome di una miope intransigenza e con disinvoltura poco scrupolosa, avevano reso più densa e più cupa. Così avvenne che il santo cardinale ebbe molto da soffrire non solo per la Chiesa, ma dalla Chiesa e precisamente dal papa san Pio X. Al papa pareva non solo che l'arcivescovo di Milano fosse troppo tiepido nella lotta contro il modernismo e troppo remissivo verso i modernisti, ma che talvolta rasentasse la slealtà. Il peggio si è che i sentimenti del papa trapelavano e di bocca in bocca giungevano a Milano, e taluni del clero e del laicato, per dimostrarsi amanti del papa, ritiravano il cuore e la stima dal loro arcivescovo". During the pontificate of Pope Benedict XV, Cardinal Ferrari was restored to papal favour. Amongst his diocesan priests was a newly ordained curate who taught Church history at a local seminary, Angelo Roncalli, the future Pope John XXIII. He knew the Cardinal well and saw him about once a month. He had a great admiration for Cardinal Ferrari. On 19th February 1961, he delivered a speech on the fortieth anniversary of the founding of the Company of St Paul and the passing of the Cardinal. The speech is a panegyric to the late Cardinal. Pope John recalled that he could see envisage the dying Cardinal on his bed as if it were yesterday. He described him as an "adamantino esempio di Pastore forte e buono". Nella piccola camera, al cospetto di un uomo, di un sacerdote, d'un pontefice,d'un maestro della più alta spiritualità, che stringendo a sé il Crocifisso,parlava ormai soltanto con gli occhi e con la penna, nasceva l'Università Cattolica, e l'apostolato dei laici prendeva nuovo impulso. " The words and example of the Cardinal had always inspired Pope John throughout his life. "Quando si voglia infatti, e pur senza prevenire giudizi che sono ancora il segreto di Dio, chiedere alla liturgia della Chiesa un pensiero, che riassuma tutto il Cardinale Ferrari, nella sua persona e nella sua edificante attività pastorale, subito ci soccorrono le belle parole pronunciate in onore dei pontefici santi: Ecce sacerdos magnus, qui in diebus suis placuit Deo et inventus est iustus, et in tempore iracundiae factus est reconciliatio." Later he succeeded Cardinal Ferrari as Archbishop of Milan when Ferrari died. Cardinal Carlo Confalonieri (July 25, 1893—August 1, 1986) received the tonsure from Cardinal Ferrari on June 14, 1912. 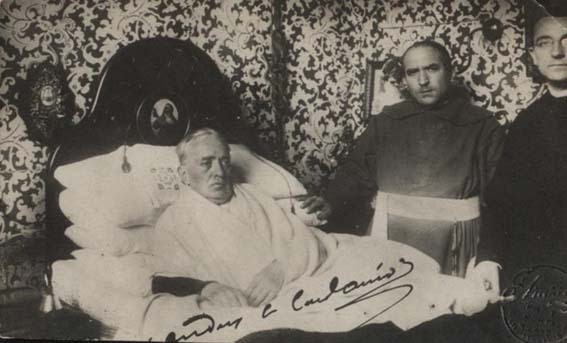 Confalonieri was eventually ordained to the priesthood on March 18, 1916 by Cardinal Ferrari. He was named private secretary to Achille Cardinal Ratti in 1921. At a very much later date, after a distinguished career, Cardinal Confalonieri became Dean of the College of Cardinals.